← Brother Can You Spare a Dime? Give me your answer true. The rain continues to fall – sometimes a sprinkle… other times a deluge. In recent memory, Colorado has never looked so green and verdant. 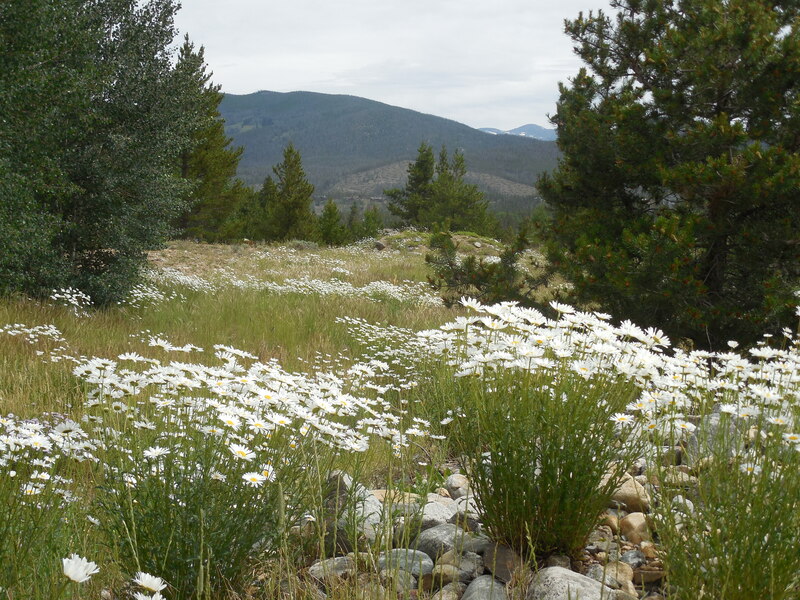 Great swaths of wildflowers cover the countryside. I spent this past weekend in Summit County participating in the 26th Courage Classic, a three-day bicycle ride that raises funds for Children’s Hospital Denver. My husband Mark is one of twenty remaining Founders who has ridden for Children’s 26 consecutive years. They are all older than they were 26 years ago, but on parting, every year, they say, “See you next year.” And they mean that. If someone does not return, the Founders know that there must have been a really good reason, and whatever the reason, that reason calls for concern. As a road marshal, my task is to encourage the riders. At first glance, you might think that I am helping them. But quite the opposite. The riders and the children for whom they ride help me move me beyond my petty woes. The fact that my grass grows faster than I can mow it, that concern is nothing! The focus is on the children themselves. Their stories put my niggling issues in their place. When I consider the children and the parents of children in treatment at Children’s, I am brought down and made small. 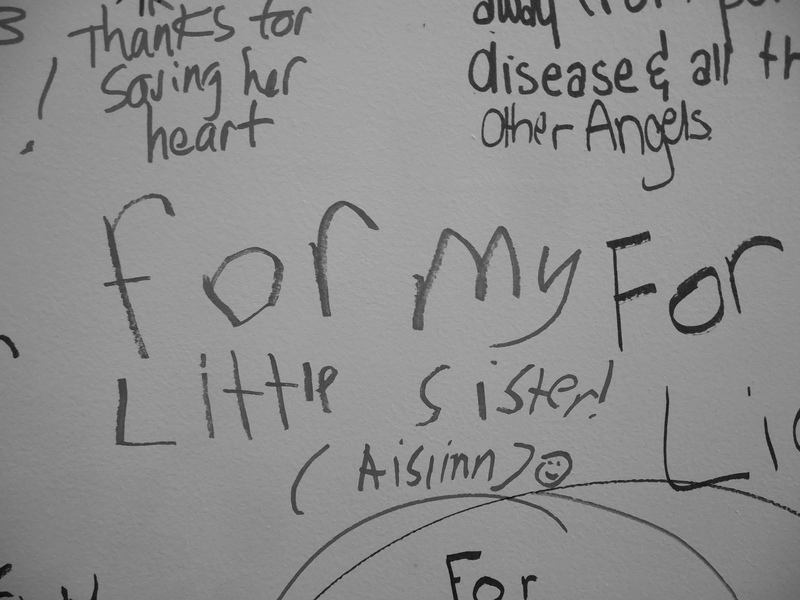 I am always moved by the notes left by the siblings of children served by Children’s. When you consider how most siblings bicker and compete, the bittersweet notes that they write to their sick brothers and sisters tug at your heart. And then, like balloons breaking free, the notes pick you up and you soar above your worldly cares. No matter how poignant, the notes feel like a blessing. In treatment… out of treatment… back in treatment. It seems endless. And painful. And then, against all odds, a good outcome. Volunteering to road marshal is outside my comfort zone. I don’t like rising every morning at five a.m. My preference is to lie in bed, listen to “Morning Edition,” and wait for my husband to bring me coffee. But rising early to greet the dawn is small sacrifice in the larger scheme of things. My family has been lucky, and I am grateful. A poor photo of a banner (one of many on display) celebrating a success story. The success stories make it all worthwhile. Like the Founders who ride year after year, I will volunteer again is 2016. To be reminded of the tenuousness of life and to be grateful. 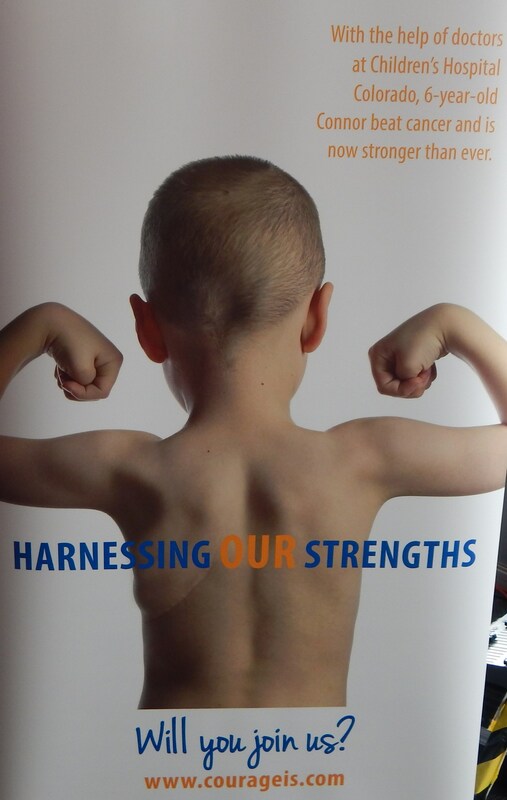 “Peyton beat brain tumor – twice. 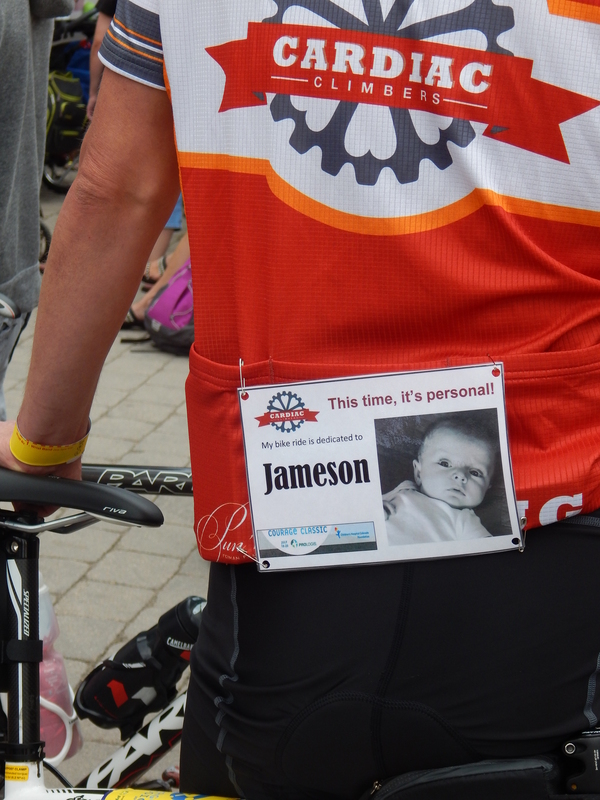 This entry was posted in Uncategorized and tagged Childrens Hospital - Denver, The Courage Classic. Bookmark the permalink. Very nice blog Doris. You and Mark are the best, and I am happy to call you friends. Dear Marty, That friendship goes two ways. We are lucky too. * My wife Marty and I were in Breckenridge, Colorado this past Saturday and Sunday and saw some of the bicycle riders. We stayed at the Village Hotel from which you can walk or bicycle everywhere. * Clint’s on Park Avenue has really Good breakfast stuff. Half the restaurant is down four or five stairs after you go through the front part which is mostly a Bakery. I can’t say enough for being able to walk everywhere. Over 20 years ago when we started looking for a retirement home in Westcliffe, our relator kept showing us property out of town. It took two years to convince him that I wanted to walk to the grocery, clinic, court house, and library. I couldn’t be happier living on Second Street. Thank you for reading, Arthur.